Close up of the Bridal shower topper. 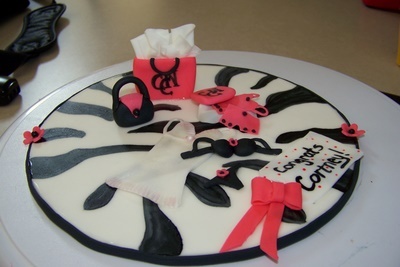 Everything is hand made from fondant. Chocolate cake with a peanut butter cookie center iced with chocolate butter cream. 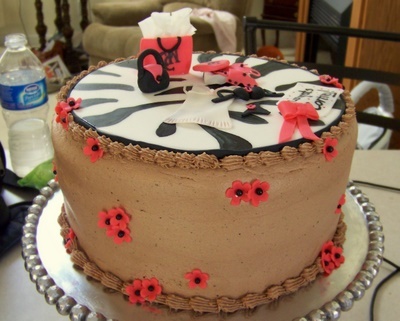 Topper and flowers are all made from fondant.